North East India is one of the most remote parts of the country. Bordering Myanmar, China, Bhutan, Bangladesh and Nepal, these states are also culturally diverse and fascinating. As they are a little off the beaten track there are less tourists, which can make a visit to this part of India even more enriching. Here’s my pick of the top six things to do in North East India. 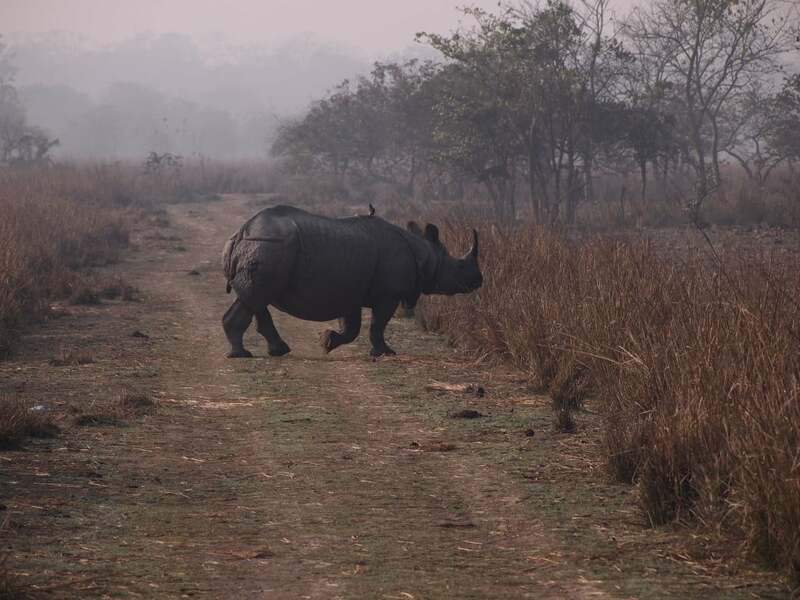 The state of Assam is home to the one-horned rhinoceros. These endangered animals roam free in several national parks, and if you’re lucky you may even catch a glimpse of one from the roadside. The most famous place to see them is Kaziranga National Park, which is easily accessible from Guwahati airport. But if you have a bit more time, there are several national parks that scattered across the region where you can see rhinos, elephants and a vast array of birdlife. 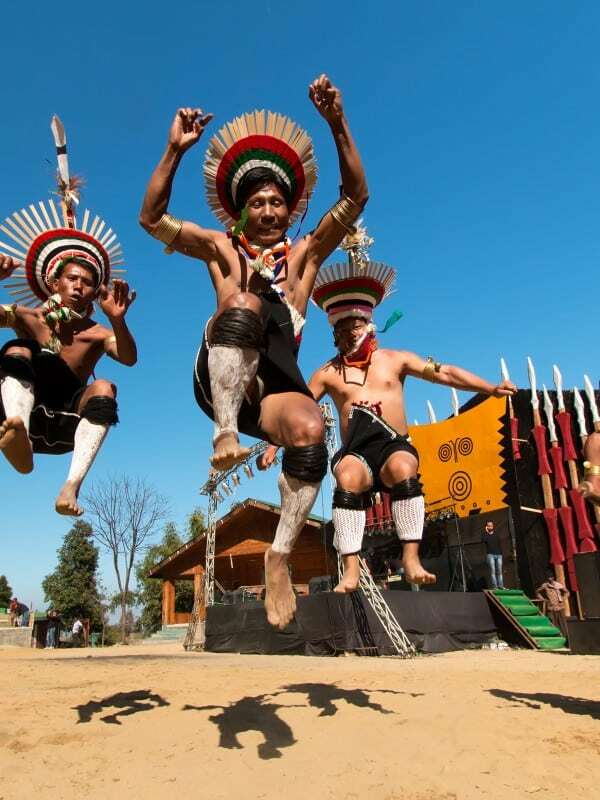 Nagaland is famous for its head-hunters, rolling green hills and the spectacular Hornbill Festival that takes place every year. 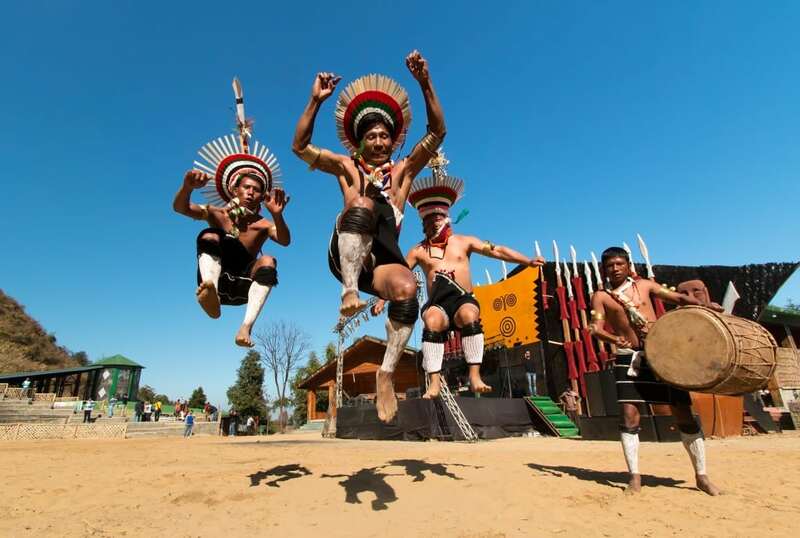 For the first ten days of December the small town of Kisama comes to life as tribes from across Nagaland and visitors from around the world flock to participate in the celebrations. There’s folk dancing, handicraft stalls and plenty of feasting, all in homage to the Hornbill bird that gives the festival it’s name. If you can only make one festival in the North East then this is it! Created by the Khasi tribe, the root bridges of Meghalaya are a natural wonder that have been given a helping hand by man. These bridges are created from the roots of the Ficus Elastica tree for the functional purpose of enabling passage. But they are also a thing of beauty and wonder that make them well worth a visit. 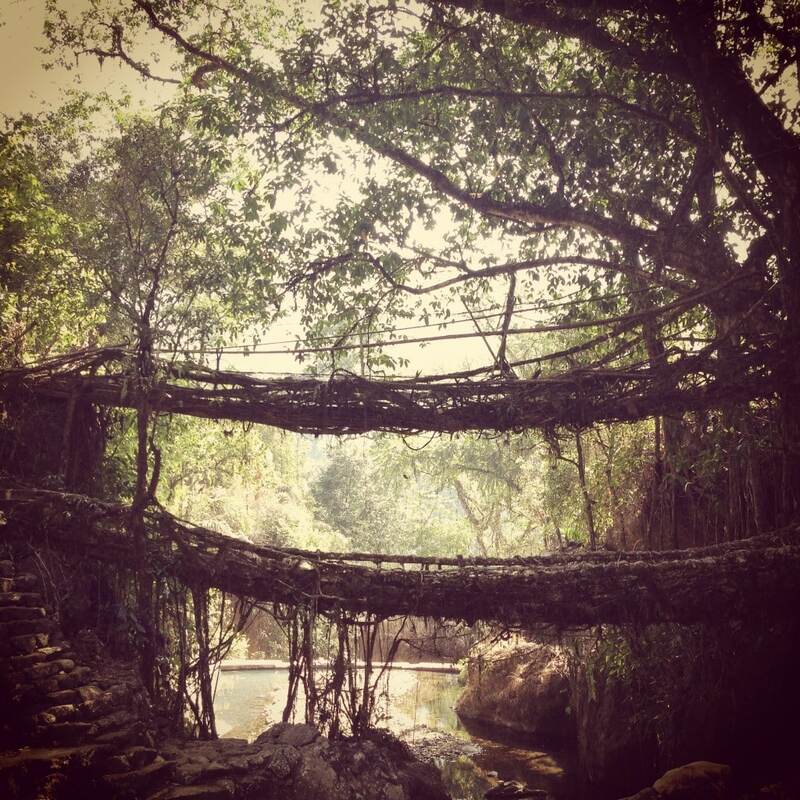 Unique to Meghalaya, there are several root bridges, some of which are easily accessible like the Riwai Bridge. Others such as this double-decker root bridge is a little further off the beaten path, about a three hour hike in the region of Cherrapunjee. Nothing is more romantic than the sitting on the verandah of a tea estate looking over the emerald hills. It’s easy to understand why the British Raj escaped to the hillside regions like Sikkim in the heat of summer. The scenery is so tranquil and calming, and of course everything is better with a nice cup of tea. 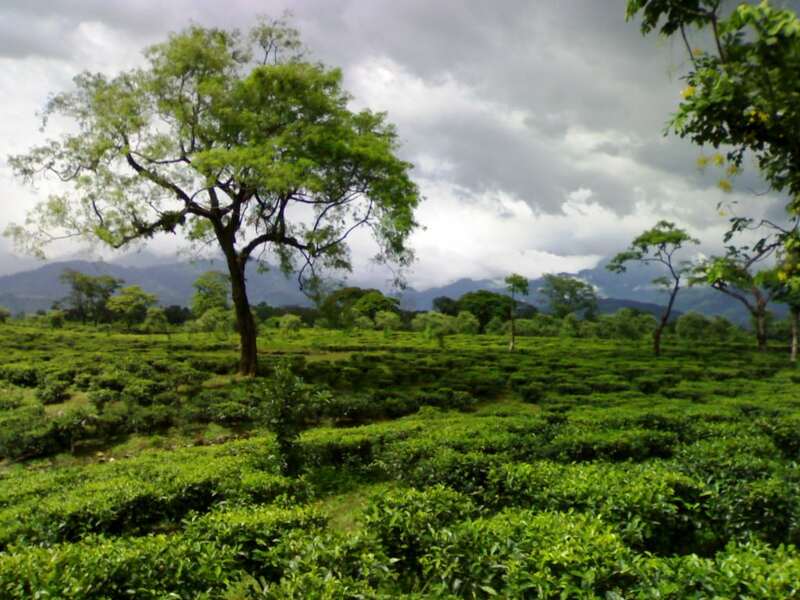 North East India is home to some of the country’s best tea estates, in Sikkim and Assam. And just next door you will also find the region of Darjeeling. 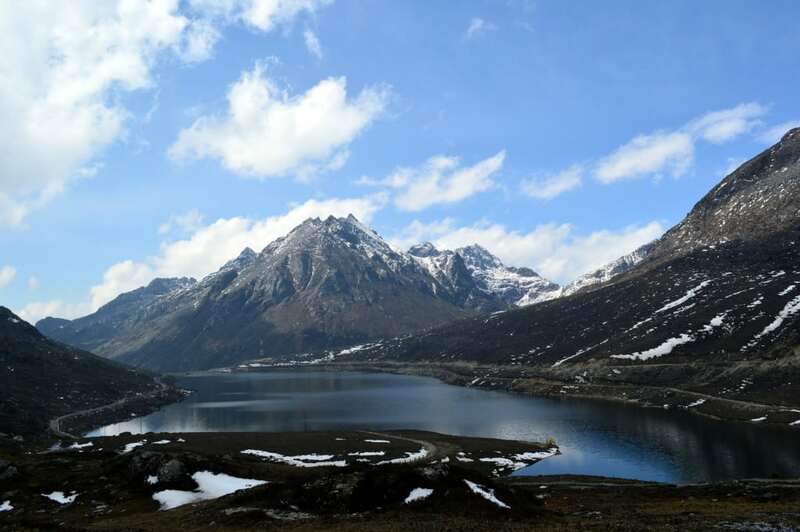 Arunachal Pradesh is home to some of India’s most spectacular scenery. With snow-peaked mountain ranges that go on as far as the eye can see and some heart-stopping passes, trekking in the region is not for the faint-hearted but is incredibly rewarding. The towns of Ziro and Tezpur are both good places to base yourself for hiking. And if you have a vehicle, crossing the Sela Pass on your way to Tawang is an absolute must. Hidden amidst the mighty Brahmaputra River in Assam, Majuli Island is one of those magical places that has stood still in time. This popular pilgrimage place is home to 22 satras (or monasteries) dedicated to Lord Vishnu. The local community relies on the river and weaving for their livelihood. 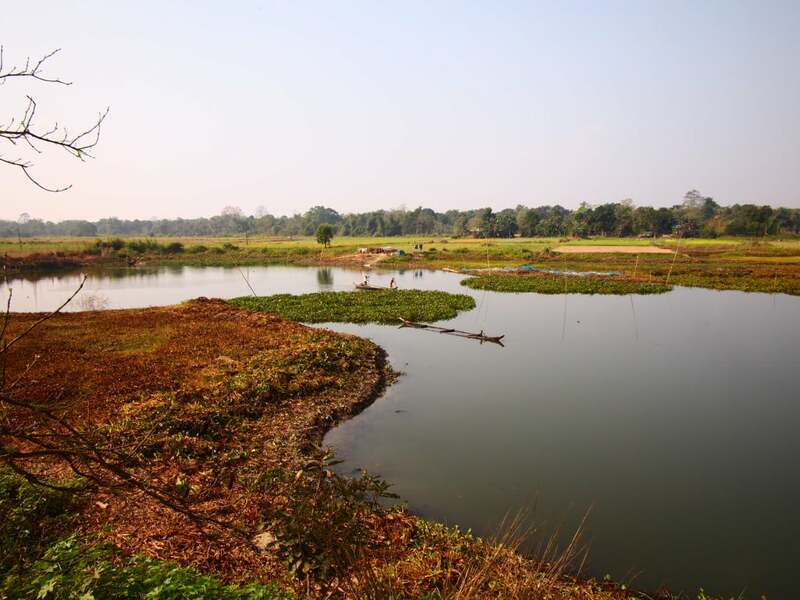 Sadly, climatic and environmental changes means that Majuli Island is now slowly being reclaimed by the Brahmaputra, with many experts estimating it may no longer exist in twenty years. So there’s no time to waste to see this beautiful part of the world.